STONY POINT, New York (WABC) -- A 27-year-old Rockland County man has been arrested on multiple charges after an investigation into dozens of burglaries and larcenies. Police say the investigation revealed that over the course of two years, Christopher Landes committed approximately 60 larcenies within Stony Point. 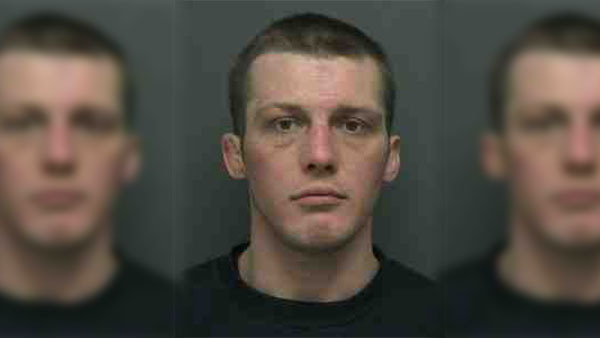 According to police, Landes entered vehicles, sheds and four residences during his crime scene. One of the homes was occupied at the time. Much of the stolen property is believed to have been pawned, some of which has been recovered. Police also say they have recovered several items that have yet to be linked with a victim. Landes is charged with burglary, grand larceny, criminal possession of stolen property, possession of a firearm and petit larceny. He was arrested on Friday and was remanded to the Rockland County jail in lieu of $5,000 cash bail. The investigation is ongoing, and additional charges are expected.